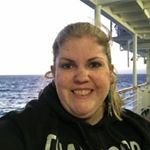 How Hive has changed my life! 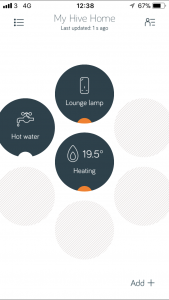 I loved the idea of a smart home but always thought it would be out of my price range. That was until I discovered Hive Heating Control which is now possibly my favourite purchase that I’ve made for my new home. Whilst there is an initial layout of around £200 – £250 (depending on if you find an offer or sale) it not only will help save me money on my bills, but also, it gives me peace of mind. I got the option which includes having a British Gas engineer installer install it for you, but you can get it for cheaper if you are able to do this yourself. So what does it get you? When you make the initial purchase, your box will have your Hive heating control thermostat in it. It will also have (if you are getting installation) a card which explains how to go online and book your Hive installation. I was able to get an appointment for one week’s time but I would imagine that in the middle of winter or in more populated areas such as London this time would be longer and the website says allow uo to four weeks. I’ll be honest, my installation day didn’t run smoothly, as the engineer got held up at an earlier job, but as I’d booked the day off it wasn’t a problem. Once he arrived, the installation was pretty quick and he had installed it and showed me how to operate it via the app on my smart phone within an hour. It’s really easy to use. Through the app you choose the device you want to manage. At a glance in this picture you can see that my heating is on and the current temperature is 19.5 degrees. The lounge lamp is on but the hot water is off. If you want to adjust the heating, just tap on the heating button and then go in to that panel. I’ve currently got it on “Manual” mode, and I’m trying to get the temperature to 21 degrees – so once it gets there it will turn off. 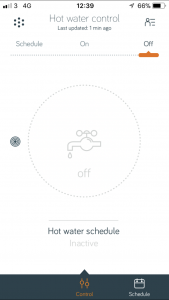 You can also turn off the heating altogether, or set up a schedule which is much easier than fiddling around with a timer. It’s great to check the temperature of the house when you leave work and give it a quick blast before you get home. I recently treated myself to a Hive plug as well. I’ve moved from a one bedroom house to a detached house. I want to make the house look lived in even when I am not there, so I got the plug so I could have a light on a timer, that again I can adjust manually. This is great if you won’t be getting home when you planned and you want to turn some lights on so it looks like someone is home. 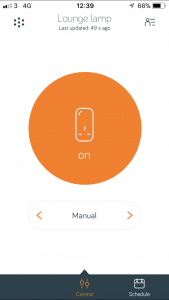 You can even name the devices in the app so you know which devices you are turning on and off. You just tap to turn it on or off, or you can set a schedule as well. 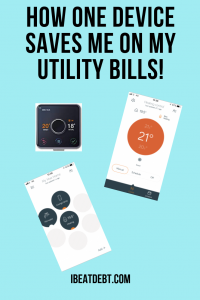 My main reasons for loving Hive heating control are that I do believe it will save me a lot of money in the long term. I’m not heating an empty house, but I can remotely choose to boost the temperature and warm it up before I get home, even if my plans change. 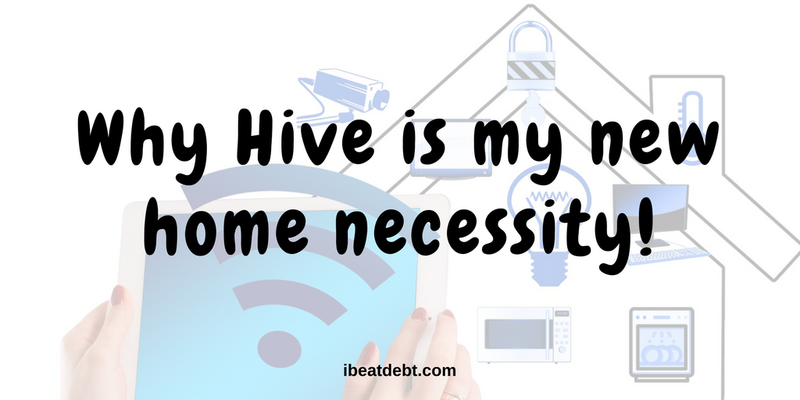 I also think the Hive plug gives me extra piece of mind with regards to my home security so I’m really pleased with that. 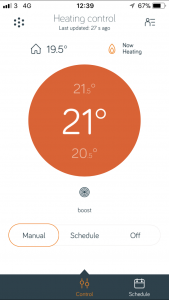 Hive is also compatible with Alexa, so I can just tell her to turn on the heating for example so that’s rdiculously handy!